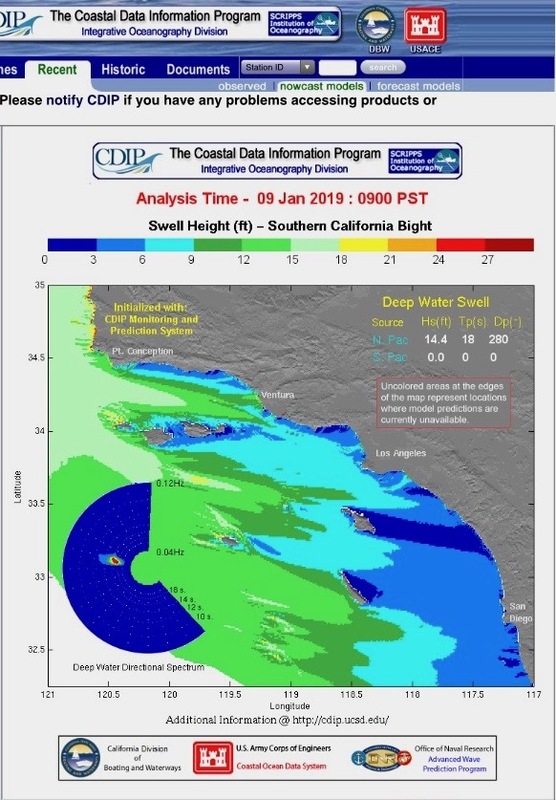 California saw two large swell events in January 2019, both coinciding with high tide events. 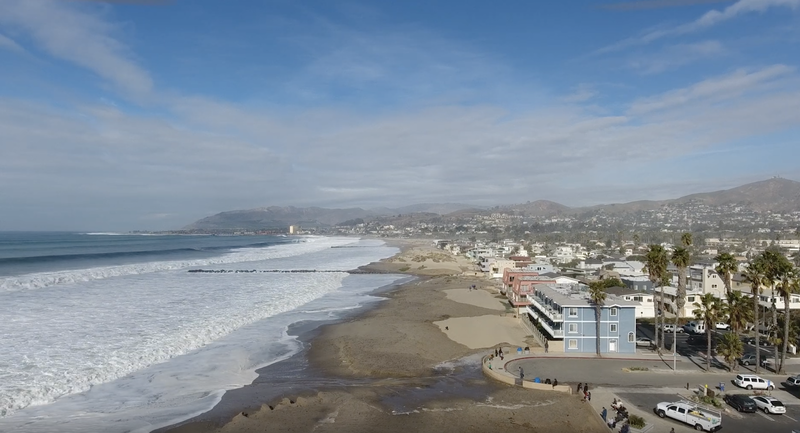 Swells generated in the north Pacific Ocean during winter months seasonally create large waves and surf in Southern California. The CDIP model (Coastal Data Information Program) illustrates how west swells travel through the Santa Barbara channel with the energy focused on Ventura. The January 9 swell had 14 ft waves at 15 seconds from a 280 degree westerly direction. High tide was 5.1 ft at 10:26 am. 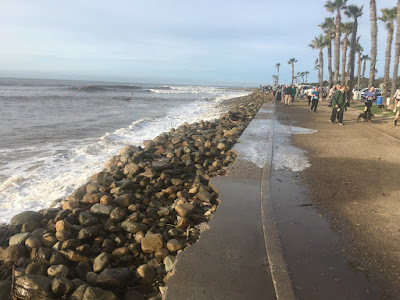 The January 18 swell had more energy with 16 ft at 17 seconds from 285 degrees, and 6.1 ft high tide at 6:36 am. 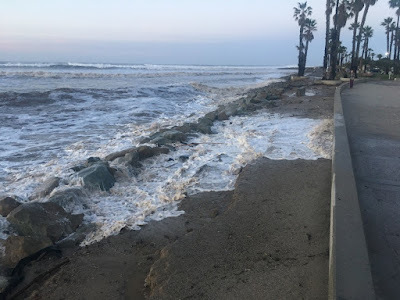 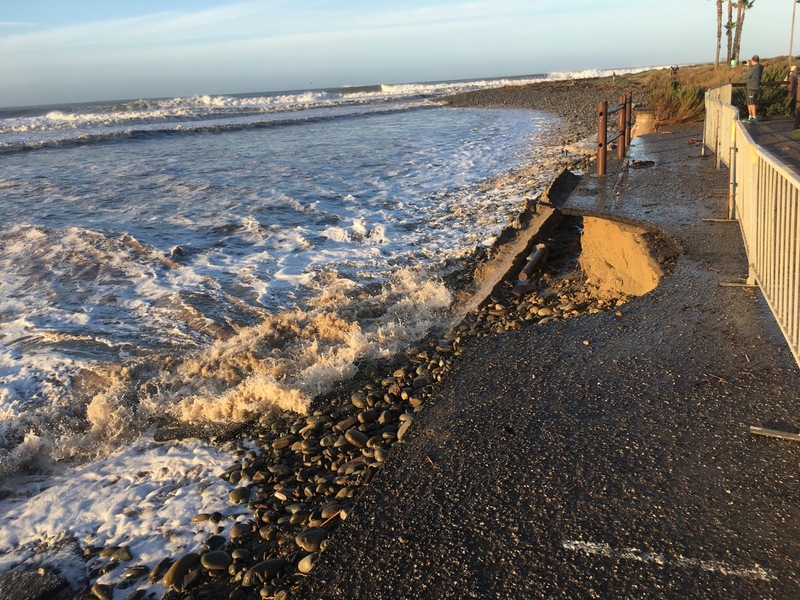 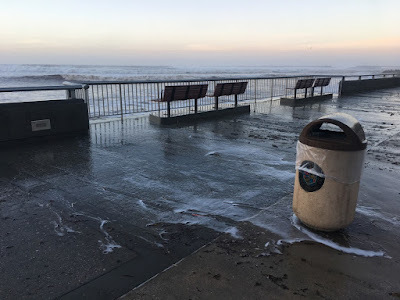 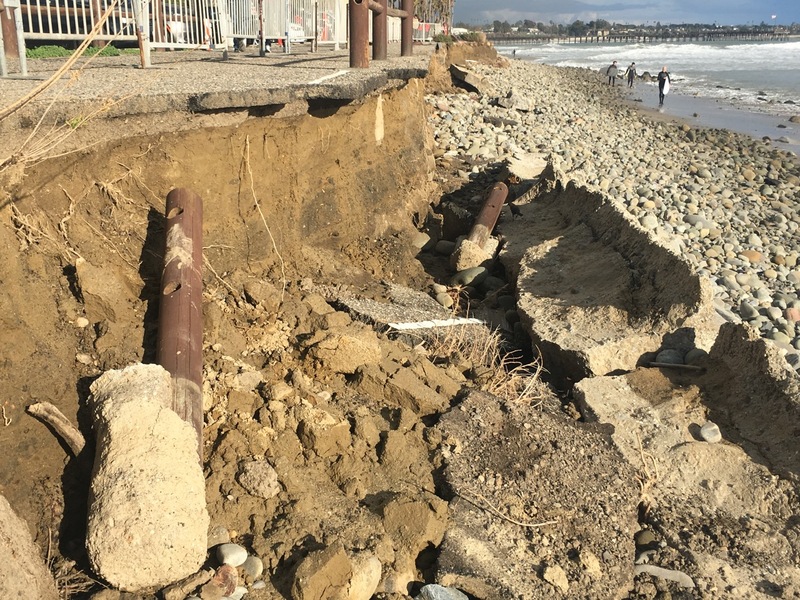 Although the swell dropped during the 6.8 ft "King Tide" on January 20, similar overtopping was observed along the promenade in Ventura. 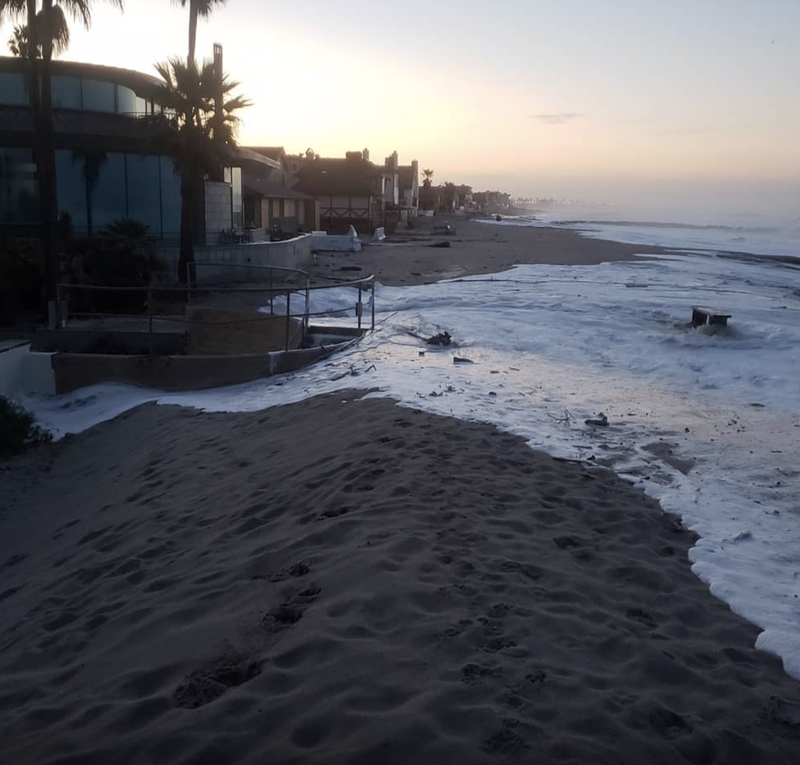 The following is a collection of photos from these high surf, high tide events. 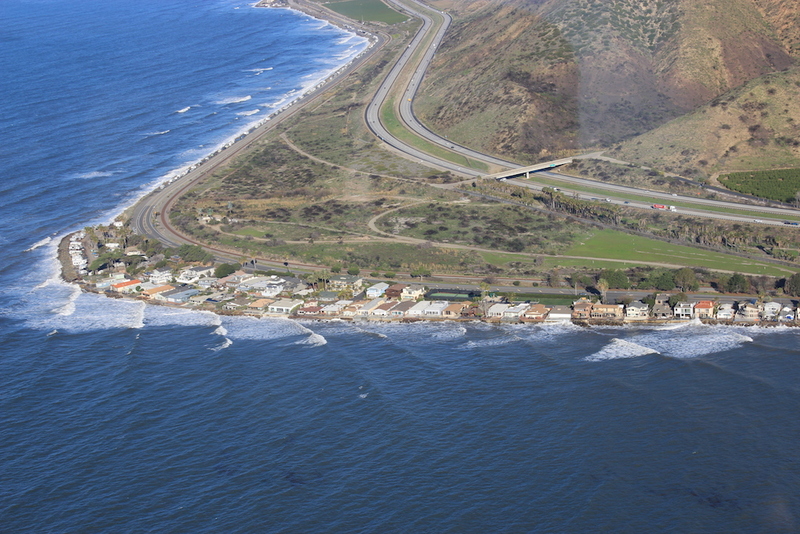 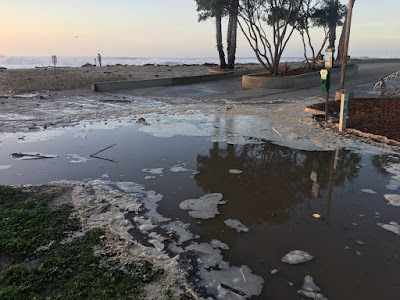 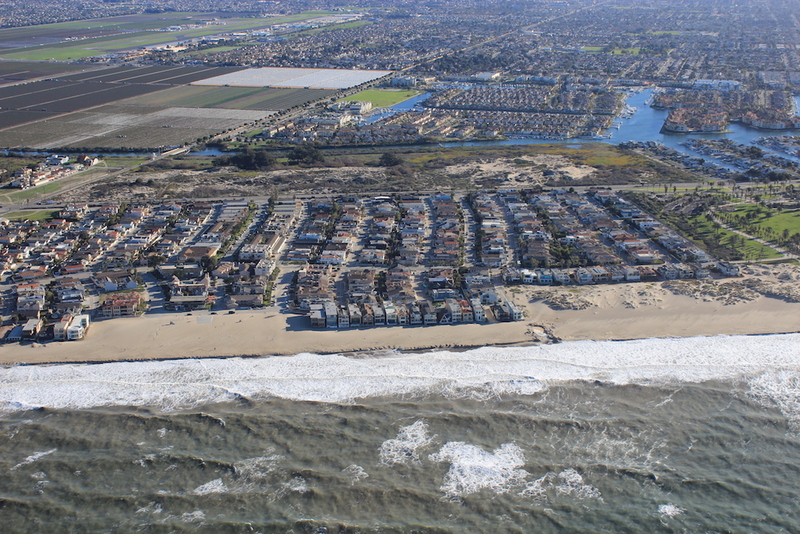 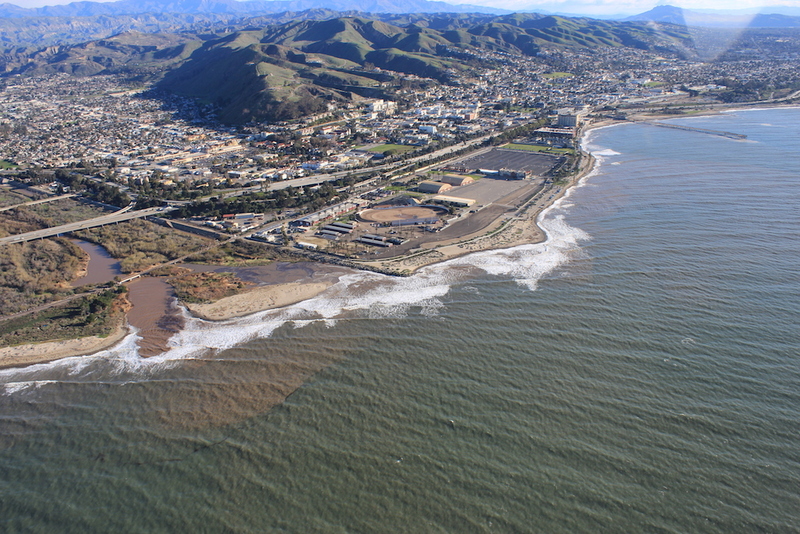 Ventura's Pierpont community suffered minor flooding with both these events, with wave runup into the streets in areas without dune protection. 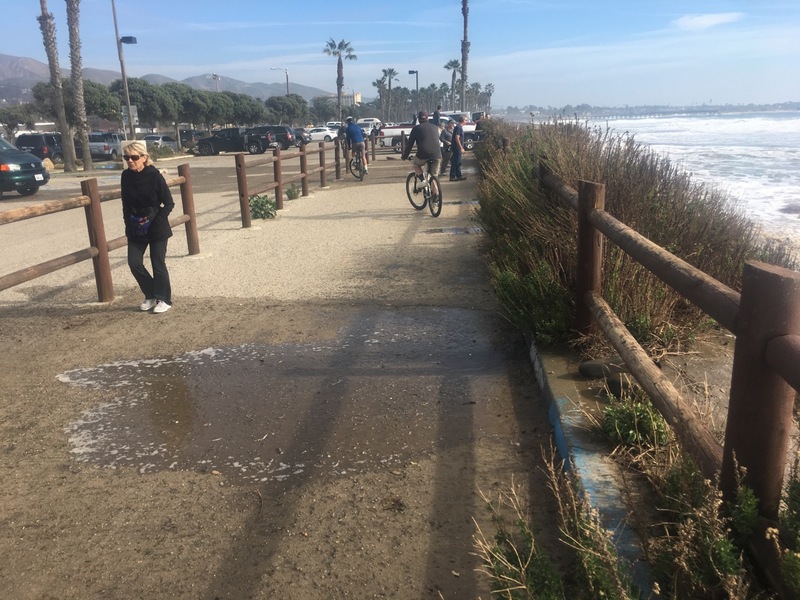 The Ventura promenade was overtopped along its length. 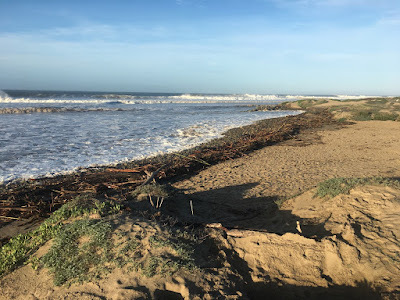 The Managed Retreat project functioned as designed, with eroded sand exposing the buried cobble berm, and minor overtopping into the foredune area. 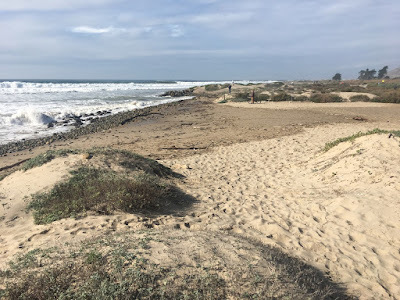 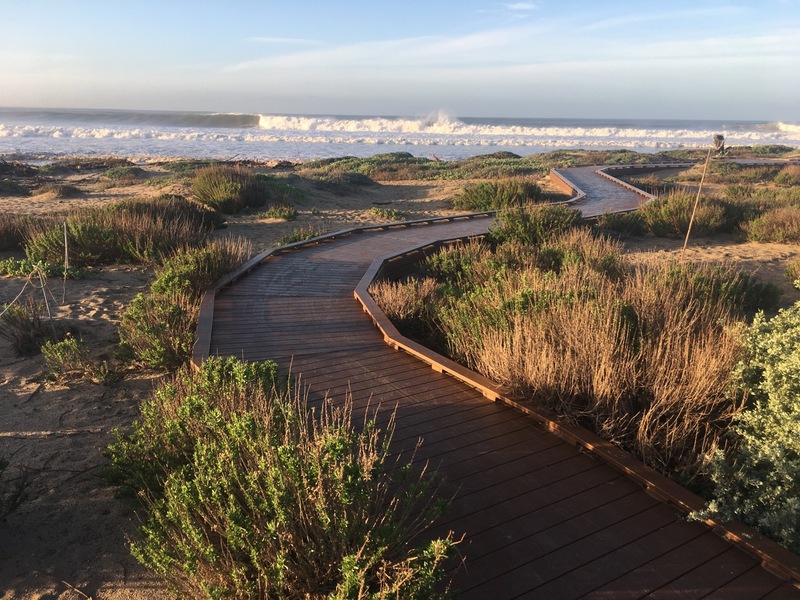 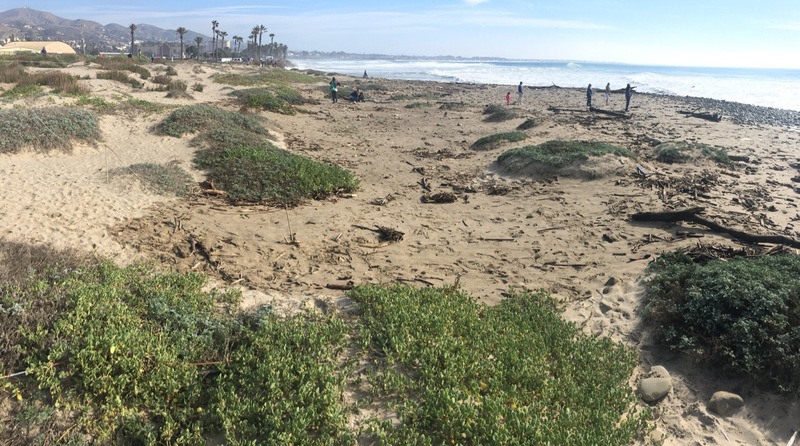 Although the swell and tide were higher on the 18th, driftwood and debris from the Ventura river reduced wave runup in the managed retreat zone. 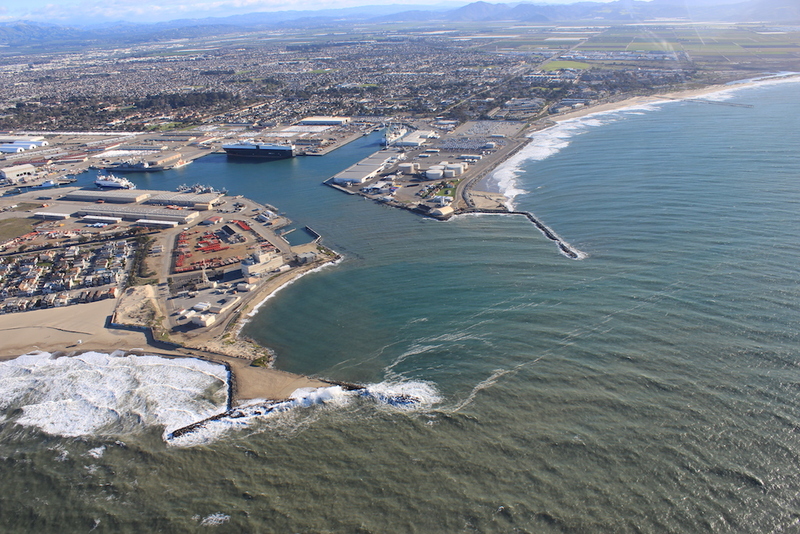 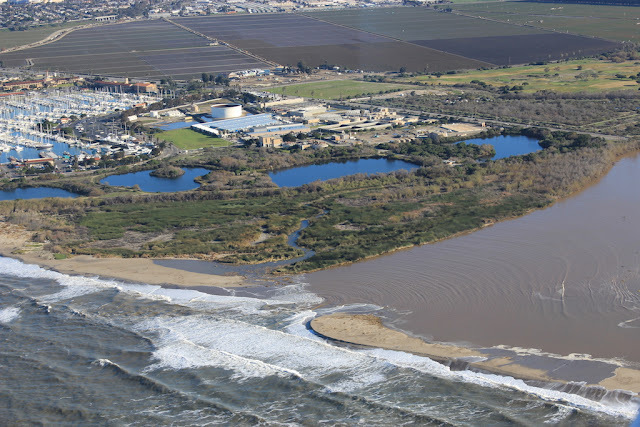 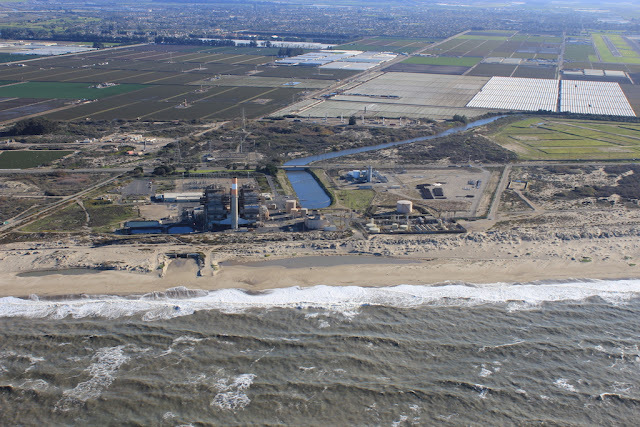 On January 22, 2019, the Ventura County Fair Board unanimously voted in support of the conceptual plan for Phase 2 of the Managed Shoreline Retreat Project. 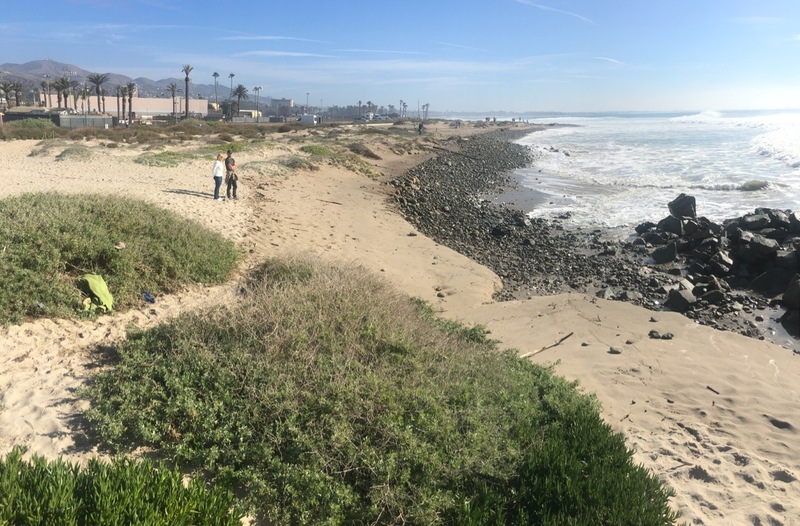 Many thanks to the board members and all those who took time out of their morning to learn more about the project and show their support! 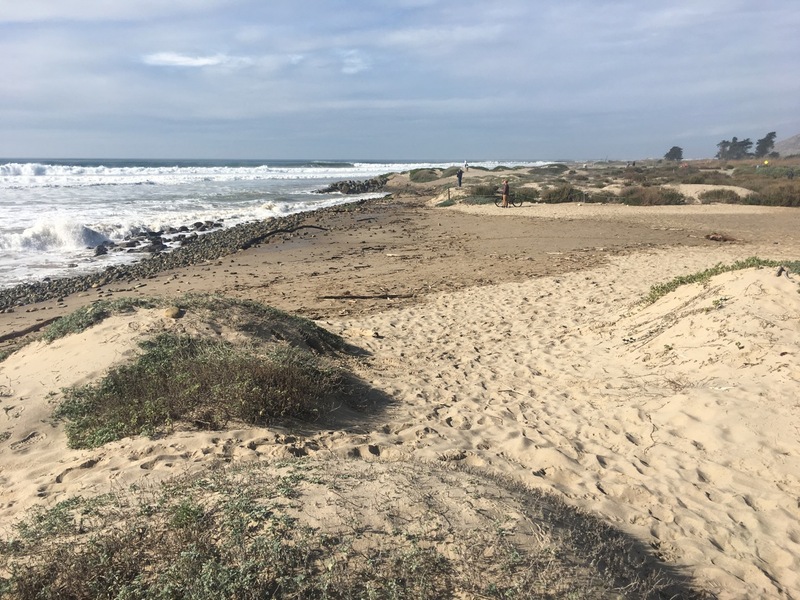 Last year the Fair board voted in support of a successful grant request to the California Ocean Protection Council which will provide the funding to complete final engineering and design in 2019. 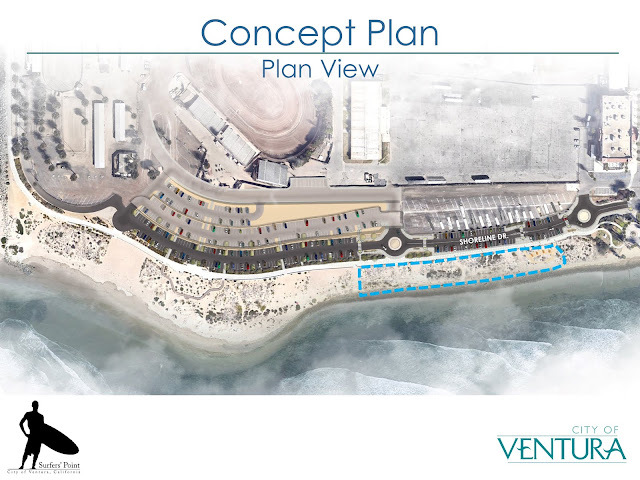 Assuming grant funding is secured, this opens the potential for project construction by 2021. 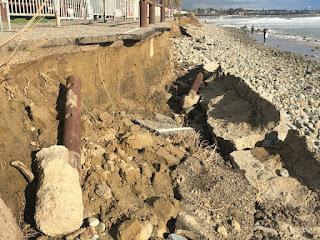 In the meantime, this year's high tides and winter swells continue to damage the bike path, making progress more critical than ever. 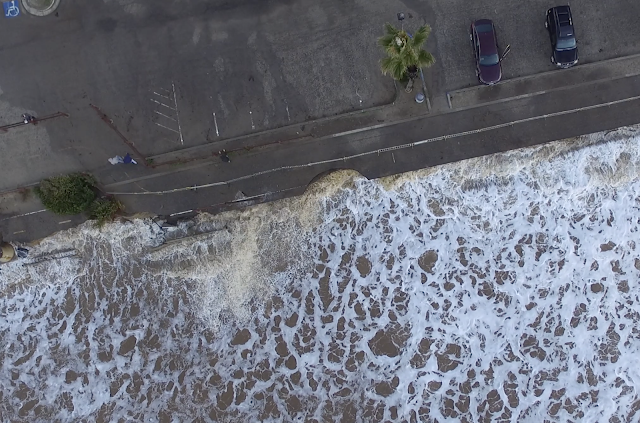 On January 21-22, Surfrider Foundation partnered with LightHawk to fly over coastal areas around the country and document the King Tide. Twice a year, King tides occur when the gravitational pull of the moon and the sun are in alignment, causing higher than normal ocean tides. King Tides provide an opportunity to see what normal high tides are going to look like in the near future due to sea level rise. 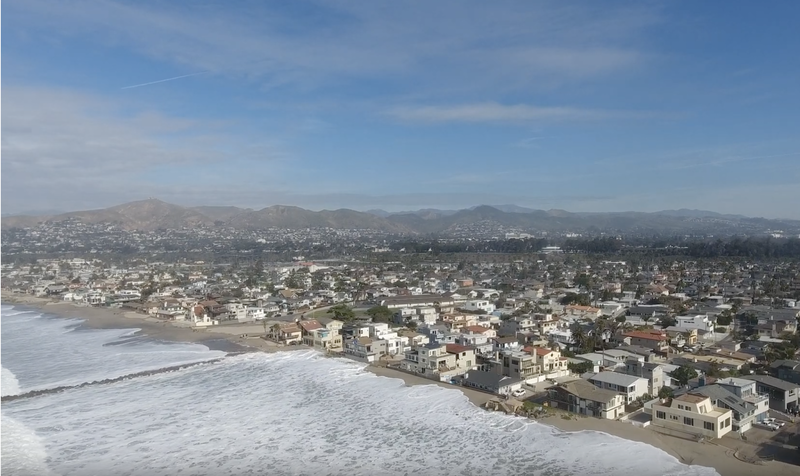 On the morning of January 21, I joined Ventura City Councilmember Christy Weir, and Alex McIntyre, Ventura City manager for a flight along the Ventura County coast. 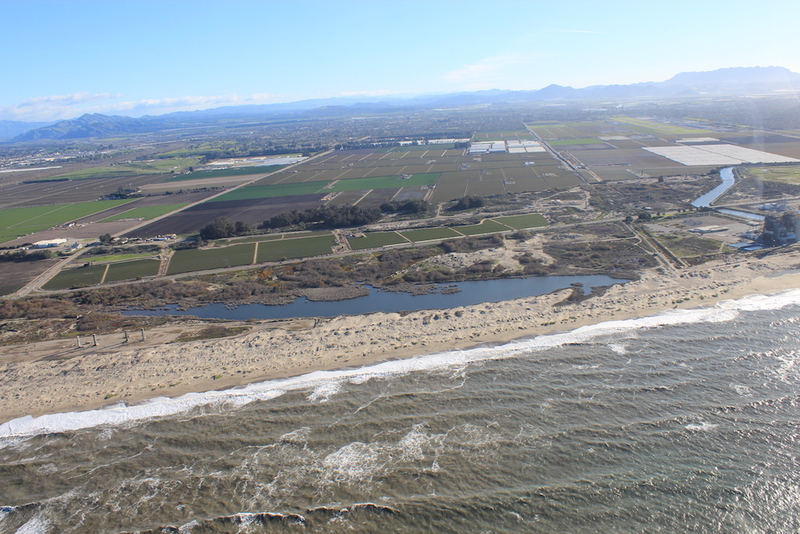 Volunteer Pilot Thomas AmRhein expertly handled his Cesna as we covered 30 miles of coast from Port Hueneme to Carpinteria. 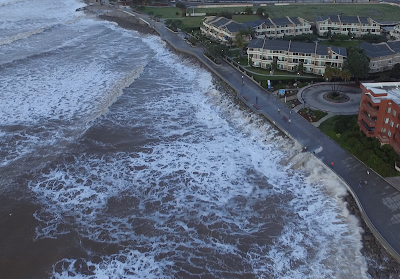 The tide was 7.0 ft above mean sea level at 8:40am. 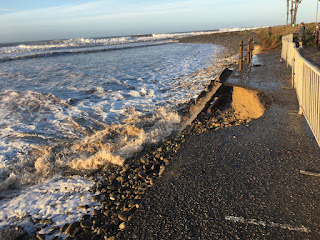 "Normal" high tides are around 5ft to 6 ft for most of the year. 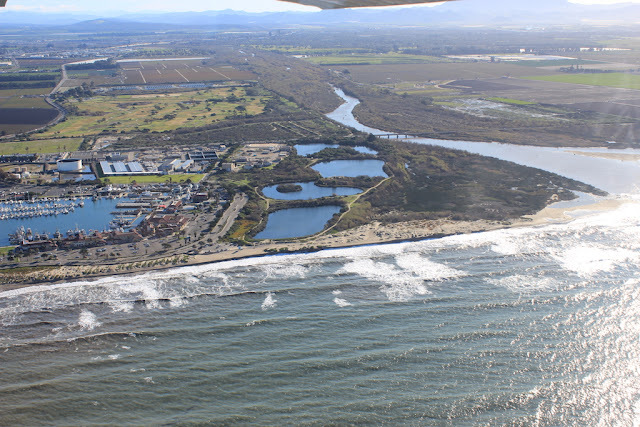 Many thanks to the good folks at LightHawk for making this flight possible! LightHawk is the largest environmental flying organization in the country. Founded in 1979, LightHawk engages a network of almost 300 volunteer pilots to provide more than 400 flights each year. Partnering with more than 100 conservation organizations, LightHawk works to help solve pressing river, ocean, land and wildlife problems. Flights enable decision-makers, funders, scientists, media and community members to understand landscapes in a uniquely experiential way, inspiring them to make a difference.